The news of the Central Bank of India has delighted the people of the country. The CB has abolished the 80:20 rule regarding the import of gold in the form of jewelry. Jewelers and farmers contribute to the growth of gold demand and the increase of their income. Read this article and you will know how this news will affect gold smuggling and how it will help ordinary people to increase income. The unexpected decision of the Central Bank of India was a nice surprise for all residents who are interested in the situation in the gold market. 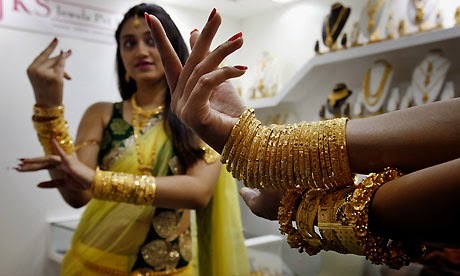 In India there was a rule regarding the import of gold into the country where the importers of this metal had to export it back in the form of jewelry. In percentage terms, it was 80 against 20. None of the participants could assume that the bank of the country decided to cancel the rule, as previously there were just strong requirements. This favorable decision gave confidence to the experts, and today they assume the growth in demand for gold, which will help to increase the income of the country. They also think there will be an increase of gold import in 100 tons. Last year there was no easing of import requirements in the country, although the gold market participants waited impatiently. The tax increase on gold and the restrictions on gold import in India have resulted in a dramatic increase in smuggling. Obviously, the more prohibitions and restrictions are introduced by the government, the more contraband will appear in the country. But at the same time they have the same goal, that is, to earn and increase their income. Last year, according to an approximate estimation, India imported 200 tons of smuggled gold, and this year they expect no less. Smugglers are inventing new, more sophisticated methods of gold delivery into the country. The government hopes that the abolition of the rule will reduce the turnover of smuggled gold, and the country will only benefit from this. As it is known, the second part of the year in India is considered to be a very strong period ofgold demand. This period is famous for major holidays, ancient traditions and gold is the main gift, even people buy it just for themselves. In addition, local farmers support the gold demand as after the harvest they usually invest all the profits in gold. 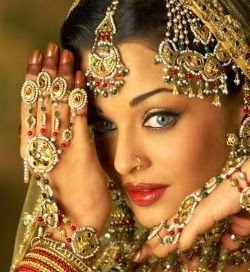 In addition, jewelers replenish their stock during the wedding season when it is best time to increase their income. The customers of Emgoldex know perfectly how to replenish their own gold reserves and how to increase their income through the marketing program of the company. They have a unique opportunity to buy investment gold bars in the online store of the company and build their own business! Share this interesting news with your friends in social networks. Let them have the opportunity to use the service of the Emgoldex online store!